Step 4 of these Special Research tasks also requires you to catch five Steel type and five Electric type Pokémon, a few of which they have also kindly kept and/or added into the mix of rewards. If you are on this step, remember that Magnemite and Voltorb are dual Electric and Steel type, so one catch of either will count towards both tasks. 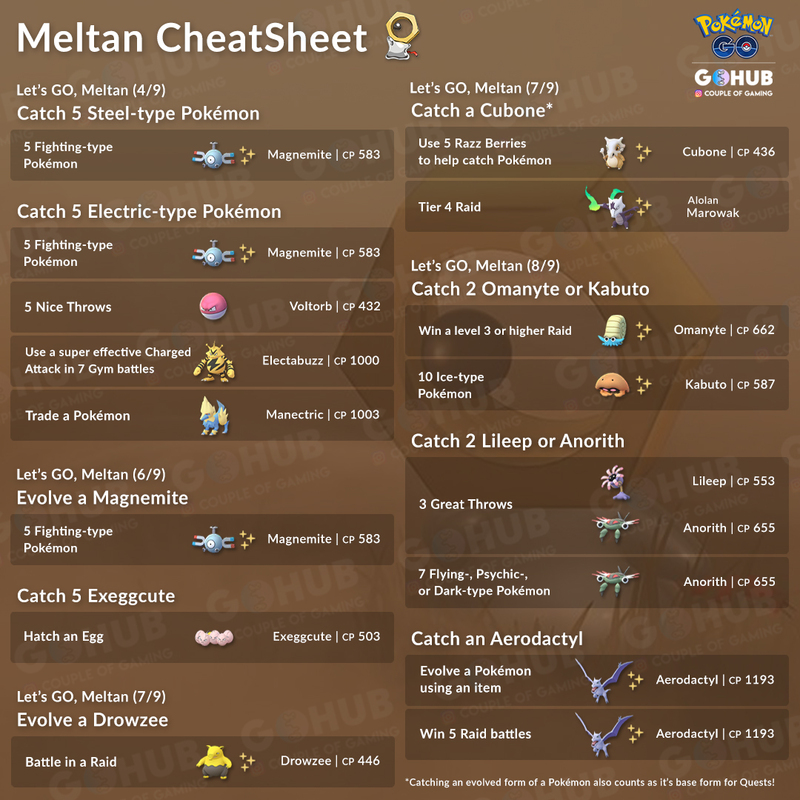 The post Field Research Encounters That Could Help You With Your Meltan Special Research appeared first on Pokemon GO Hub.